View Harlequin’s weddingsonline Profile to see if they have your wedding date free! Tell us a bit about Harlequin’s style? We don’t have a particular style except that we play everything in terms of music, if the customer has a request then the answer is always yes. We’re playing a Russian wedding in a few weeks so I’ve four songs learned in Russian and on Thursday night I’ve an alternative wedding where all they want is Brit Pop. We play every hit that was ever a hit right up until this week. And we can take requests on the night because of our extensive repertoire – Harlequin have over 3800 songs that we could play then and there. We spend a lot of time on attention to detail for our customers – what we do is an exclusive product, that we feel is unique. 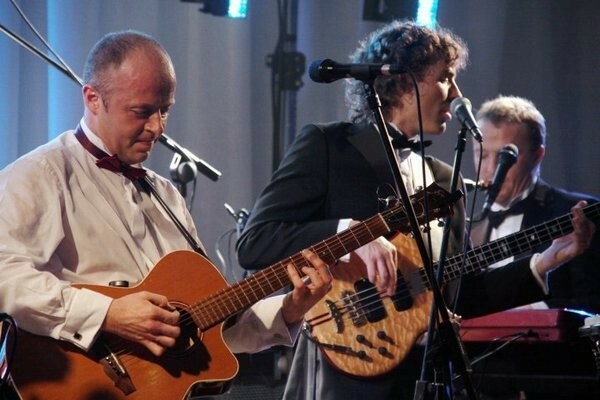 And we’ve had some lovely feedback, somebody put a complaint a long time ago on weddingsonline about the band – the complaint was ‘her feet were still sore two days on’ which was great. How far in advance should couples book a band? In the pecking order couples look for a ring, then they go shopping for a venue and the band. They should book band and venue at the same time to try and get the one they really want. Food and fun coincide – if you can lock in a venue and band at the same time early on, that’s the way to do it. It will take the pressure off as entertainment is a huge part of the day. The choice becomes limited very quickly once you get closer to the date. We have bookings in 2017 which is two and a half years away. Have you any advice when it comes to doing research for a band? Some people don’t realise the importance of an experienced party or dance band, they think that a band that do good music in a pub will do because they’re getting them for €800 or €1000 but it doesn’t work like that. And then on the other side, there are bands that are quite expensive that just don’t do a good job at a wedding. It’s really a case of being careful, buyer beware – do your homework, find out who’s good out there and invest time in researching this, and not just money. And do it at a very early stage of your planning. How long does a band typically play for? A lot of bands in Ireland play for 2 hours but Harlequin play for 3 hours. Is there a trend for all day packages that include the likes of ceremony, drink’s reception and evening entertainment? It’s half and half. About half of the people that work with us enquire about full day service and half of the people like to use separate suppliers because they think it gives them different textures and quality. One of the concerns we come across is that the voice will have fatigue having played for 12 or 14 hours, it doesn’t happen in our case but I have heard of it happening. And then there are couples that are especially confident with the supplier, so they want to get everything from them. What advice have you for couples when it comes to picking their playlist? I don’t provide couples with a list and the reason is that I don’t want to pre-empt their own personal ideas, so what I suggest is to take a little bit of time coming up with ideas. I then sit down with all of my couples and have a consultation – we’ll spend an hour going through ideas and hone in what they’re interested in and go from there. 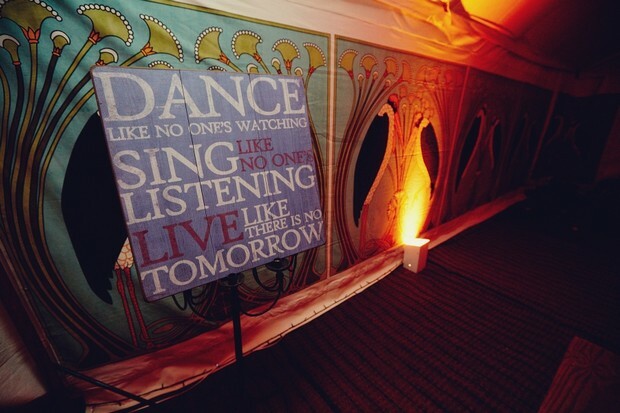 What advice would you give couples trying to choose their first dance song? I say to couples, is this song very important to you? About one third say “it is”, one third say “it’s critical” and one third say “not really, yeah, it’s grand”. I always say to people this is the only five minutes that are wholly yours in the day, this is five minutes where you can look in to each others eyes and just enjoy it. 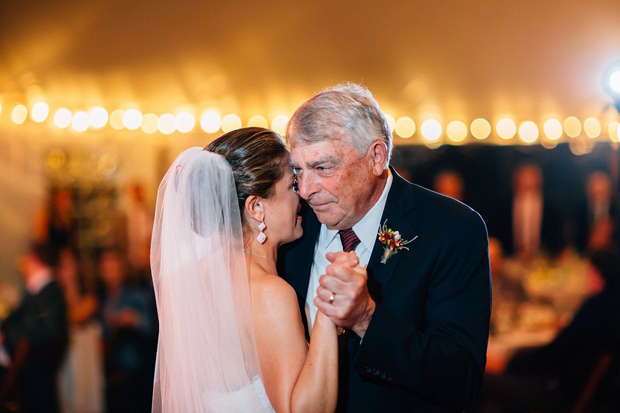 Shut the world out, it’s your first dance ever with your wife or your husband as a married couple, because whether or not this is the song coming into this moment, it’s your song going out of it! I do think it’s important to spend time on it and it’s important for me to sing something that’s important to them. And even if they don’t have a song, we can help them find something they really love. What first dance songs have been popular over the past year? Every year there is one or two slow songs that that are a big hit, last year there were three; Ed Sheeran – Thinking Out Loud, John Legend – All of Me and How Long Will I Love You by Ellie Goulding. But I really love finding a couple that have their song; something off the wall or that wasn’t even a commercial hit. It doesn’t have to be a slow song either. Upbeat songs are the best ones! What makes for a packed dance floor? Fun. No matter how good the band are – it’s fun. We go out to have fun and if the bride and groom are having fun the guests celebrate with them. The only way you can really do that is by getting to know the bride and groom – who they are. And also who can we poke fun at? Who’s having a baby, who just had a baby, who’s engaged, who’s up next – little things like that. We spend time with the bride and groom up to the wedding getting to know them. By the time the wedding comes round they know what it’s all about, we know mammy, aunty Peggy, we know her aunt is a nun in Kenya and she loves the Kings of Leon. The only way you can find the real gold like that is by getting to know people, and it’s only that stuff that makes it personal and special. Any other tips or advice for couples booking a band? I always say couples should push their band to deliver what they want for their wedding. A wedding band should be flexible, they should be able to play country if country is required and shouldn’t exclude any one demographic in the room. It doesn’t mean you can’t play AC/DC, but you can’t play AC/DC all night if there are guests there who want a waltz. Get a band who will play something for everybody and that ticks all the boxes for you as well. The other thing I say is to get a band who really want to be there, who look like they want to be there. Deal with suppliers who have a clear agenda of delivering a great night or day and if you’re not getting that from them, move on to the next supplier. 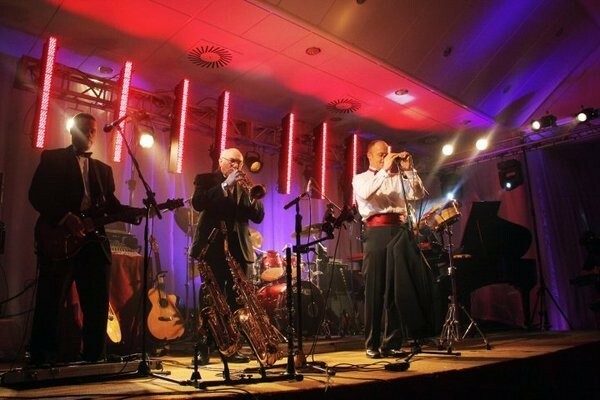 Comprising of six of the most versatile professional musicians available, Harlequin have a repertoire upward of 3800 modern, pop, rock, jazz and rock and roll classics. Harlequin can provide a complete music and entertainment service for your wedding including ceremony, drink’s reception, evening reception and DJ. For more information on Harlequin or to see if they have your wedding date free, visit their weddingsonline Profile or the Harlequin website!